There's an app for just about everything these days. Just the other day I heard that pregnancy tests are going hi-tech and linking with an app. Whatever happened to peeing on a stick and screwing your eyes up and holding it in different directions to check if that fateful second line has appeared? Now I know my kid. I know she's a ratbag. I know she needs her sleep. According to this sleep calculator via Web Blinds, for madam to wake at 7am and us to "enjoy smiley, grump free mornings" she needs to be bit in bed by 7.56pm, 8.46pm or 9.36pm. Well first off, which is it, as there's nearly an hour between each? Second of all, I can tell you now, if she went to bed at 9.36pm, not only would she be acting like a complete moron, but she would not wake "smiley"- it would be like wrestling with a wild animal trying to cajole her out of bed. Friday mornings are a good enough measure of how tired she is when you call her to check she's up and get the grunt of a teenage boy back. Apparently it's all about sleep cycles, and so long as you don't wake midway through a sleep cycle, you'll wake happy and refreshed. 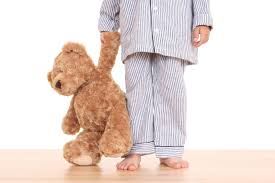 I often speak to friends and am shocked at how late they let their kids stay up until, whether it's downstairs with them, or just playing or reading in their rooms. I guess every child is different, and some just need their sleep more than others. Ella must take after me in that case, as 10pm and I'm done most nights! For me, evenings are for grown up time. That might make me sound like a Victorian matron but as much as I love being a mum, there's a time when the kids go to bed, the mess gets cleared away, the wine gets poured and it's time to relax and enjoy some peace. We let Ella stay up on occasion, but she can't hide her tiredness well, and soon starts talking gibberish and despite asking to stay up, will be lying halfway up the stairs asking for "carry's!" and it's only an hour later than she'd normally go to bed! 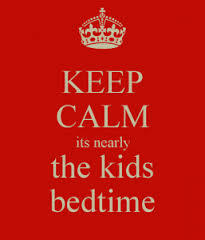 Each to their own, but I know I don't need an app to tell me when it's bedtime!